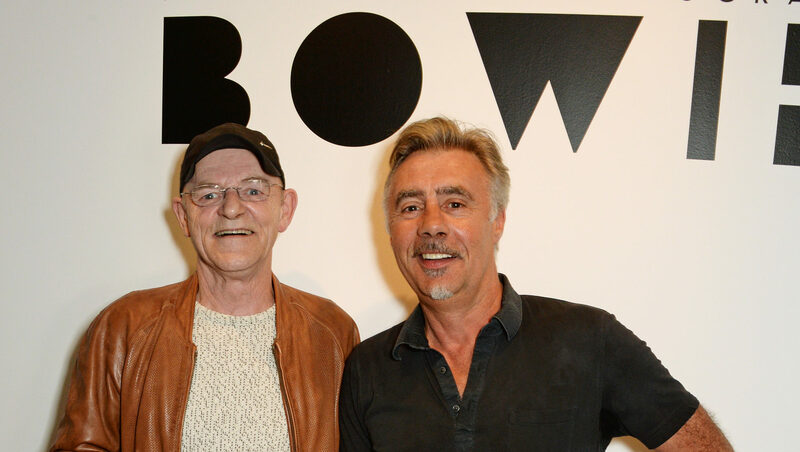 WOODY WOODMANSEY spent years as David Bowie’s drummer in The Spiders From Mars, and he played on all Bowie’s albums from The Man Who Sold The World through to Aladdin Sane. His Bowie tribute band, Holy Holy, including Bowie’s producer Tony Visconti, plays Glasgow’s Old Fruitmarket on February 10th and Newcastle’s Tyne Theatre on the 12th. How was it on stage the first time Holy Holy played? Surreal. It took me back, and I kept thinking maybe David was off stage getting changed. Did you want to stop after he died? On tour David wouldn’t eat well, so he’d get ill and could hardly speak, but he’d still perform before collapsing off stage. He always said the show must go on. But it must have been difficult, no? We rang him and sang Happy Birthday on stage. The following day, he died. Our next crowds were in tears. I had to tell them “It’s not a funeral, it’s a celebration of his life.” They got it, and the atmosphere changed. How did you and Bowie work as a team? He’d write bits of songs and we’d put them together, like a jigsaw. Then after one rehearsal we’d record, often doing just one take. Jean Genie was like that. One take. Did you always understand the songs? How difficult was it during the Ziggy Stardust days? You were all sacked. Why? He didn’t tell us he was killing off Ziggy until announcing it on stage. Suddenly we were out of work, but I’d missed how much of a toll it had taken on him. He killed Ziggy before Ziggy killed him. When did you forgive him? It took two years, and we both said things we shouldn’t. He admitted it was his rocket ride to fame and he hadn’t handled it well. He also said he couldn’t have got there without us. How do YOU pronounce his surname? I’d do one last gig of David’s songs with people like Robert Plant, Brian May, and Slash from Guns ’n’ Roses. I’d die with no regrets. I’ve done as well as I can.